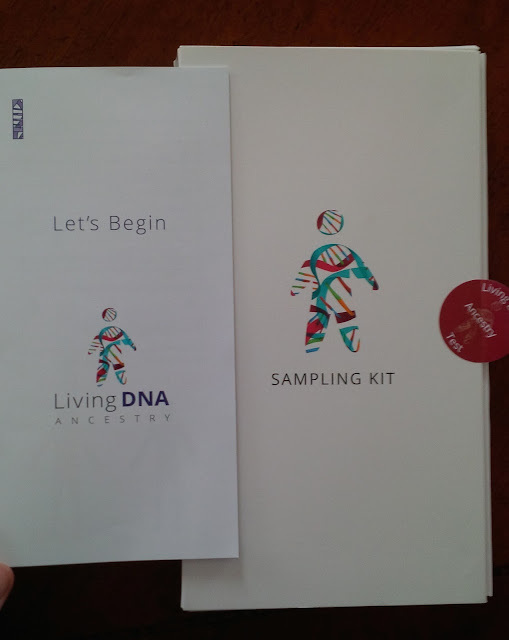 Thanks for sharing this CeCe -- I really like the fact that they automatically give you mtDNA and Y DNA -- I think the bigger testing companies could/should do that -- but disappointed in their ethnicity estimates . . . hopefully with time they will become more accurate. Thanks for reporting on this company's ethnicity results and giving the heads up that they may offer matching in future. PS. I think there was a "1" missing when you summarized your AncestryDNA ethnicity (I'm guessing the British was 10% and not 0%. Nope - 0% British is correct. Ancestry did not predict any for me at all. Hi Laura, Is there any Ashkenazi in that line? We discovered a small amount through testing and, as a result, have a ton of Eastern European matches. We also have a couple of significant brick walls on my paternal side that may have something interesting behind them, but it does not appear to be British, as mentioned above. We do show small amounts of Eastern European admixture at 23andMe, but I am not sure if it is "real." Do you know what chromosomes we are matching on? If so, I can check to see if it is either on our predicted jewish segments or Eastern European ones. There isn't any Ashkenazi that I'm aware of, there is a good amount of Greek, middle eastern and southern European from this line. I don't feel that my 23andme ethnic results are very accurate and their Eastern European is just too broad. FTDNA is more in line to my findings as they show part of the lower Balkans as Southern European. Chromosome 13 @ 44.9 – 51.3 this is a match to your aunt and he is a strong Slavic match to me, I don’t see this too often but he is matching your aunt all along this chromosome and pulling up others in common with me. You said that males will receive their Y-DNA haplogroup. Could you provide an example of that? Also, how many Y-DNA markers will the test cover. Do you know of any plans to be able to transfer the (Y-DNA) results over to FTDNA? If you do a report on someone's Y-DNA results, could you include a comparison to FTDNA Y-DNA tests? Thank you. 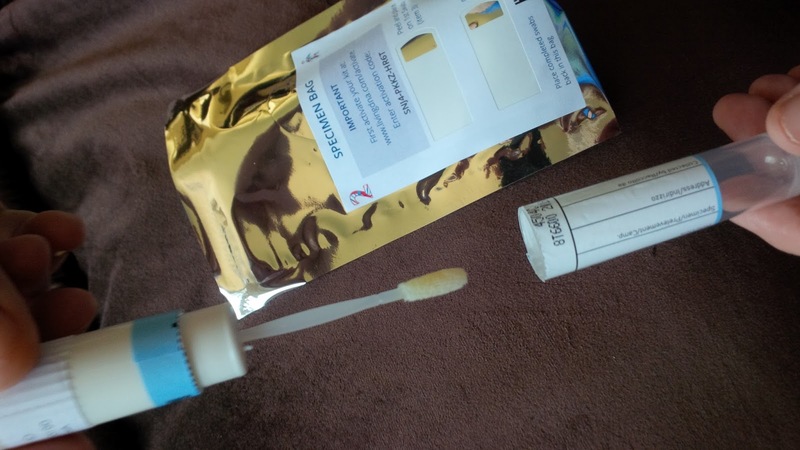 Debbie Kennett's blog gives an example of the Y-DNA results here: https://cruwys.blogspot.com/2017/01/my-living-dna-results-part-2-mtdna-and.html. I do not know of any plans to transfer the Y-SNPs to FTDNA. Hi CeCe, I am adopted and have tested at Ancestry, FTDNA, and 23andMe as well as uploaded to DNA.LAND, GedMatch, and DNAgedcom. Since my non-ID information from my adoption file says that my birth mother's heritage was Welsh (and I have found out that her surname was Lewis and my highest matches all include Jones, Davis, and a couple of other Welsh surnames), I have been looking for a test to take that will specifically match me to the UK. I looked at the Cymru DNA Wales Project but it was expansive and didn't include any DNA Match list. You said that Living DNA Ancestry does not include match lists either (yet) and that you found that your results were not quite correct as far as you know. It appears as though one of my birth parents has Colonial roots so that might compound my test results. 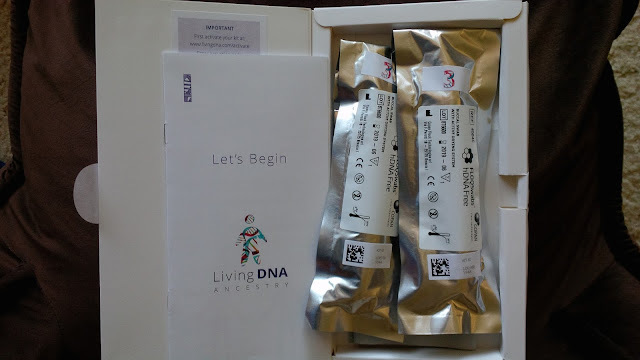 Would you recommend that I go ahead and take the Living DNA Ancestry test just to add to my knowledge (and hopefully, later to my match list)? What do you think about the Cymru DNA Wales Project? Thanks, Cece. My recent ancestry is 100% British Isles and I have a particular mystery I'm hoping the Living DNA test might provide clues for. I just took advantage of the discounted price and I'm looking forward to the results. Hi Kathleen - I am also thinking of ordering this test. What would the discounted price be for this test? I see the website lists it for $$159 at the moment. Thanks! That promotion has ended but I might be able to offer my followers a discount in the near future. Thanks for providing this review! From my genealogy I should be ~75% Irish/Scots-Irish and 25% Danish. I took this test as an experiment to see if it breaks down my Irish descent regions. FYI, according to genealogy I should be 25% Danish. FTDNA breakdowns have changed over time to now show that I am British Isles 69%, Scandinavia 27%, Finland and Northern Siberia 2%, and Eastern European 1%. Thanks for this post. I really appreciated the "Technical Note" regarding Germanic and Anglia/SE UK populations. I have paper trails for my families in Ostfriesland Germany and Sweden back 6-7 generations with no English ancestors. In fact these farm people rarely moved. I have done several DNA tests that show recent UK enthnicity. Your explanation helps explain some of that perhaps. I am hoping you will do a post sometime expanding on this issue. Thanks for sharing your insights on you blogs! Hello! I have signed up with GEDmatch, ancestry, and had DNA sampling from 23&me. I have had totally contradicting results show up and mom refuses to accept the results given to me, she refuses to take the DNA sampling, and refuses to give me my original (detailed) birth certificate. I have a copy of it, but it has NO detail in comparison to what should be on the original. I have emailed the US Air Force to get a copy of my dad's entire file; especially any documents related to my being in the 'family'. Is it possible that the DNA results can still mean we are a part of the 'birth family' that is documented regardless, OR does this mean that in combination of our results, that our instinct/nature/spirit telling us ever since we could remember "I don't belong with 'this family'" is true to accept? Great question! I have many of the same conflicts! SMH! Would this test be sufficient for ydna compared to ftdna? I am a male looking for bio father and have yet to do a ydna test. How many markers would this test have? No, the only company that offers the Y-DNA specific test for matching purposes is Family Tree DNA. I would watch them for a DNA Day sale and order at least 37 markers. Good luck! Thank you for the review! I'm about to get myself a kit as well. I hope they can get more accurate when it comes to break down Caucasian Middle Eastern genetic differences like Armenian, Turkic, Iranian, Arabian, Georgian etc. although I, realisticly spoken, can not expect that much of accuracy from any DNA testing company in the first place. Just got my results back and compared to AncestryDNA and 23andme. Living DNA gave me 78.8% Great Britain and Ireland, which should have been 16%-33%. No German, when I have 5%-35% on the other tests. But if the German is included in the GB&I% as you said above, that could explain it. It also shows 8.8% Turkey which was "low confidence - Caucasus" at 4% on Ancestry and could only be in Broadly Southern European on 23andme, which could also include my Italian heritage. Their estimation of Italian (Europe South) is just 4.4%, estimated at 10% on Ancestry and 4%-13% on 23andme. My test results don’t seem to have “a level of detail never seen before.” The examples on the website show things like South Italy, Northwest England, Southwest Scotland. Mine has Great Britain and Ireland, Europe (South), Europe (East), Europe (North and West). Not details, no further breakdown. Overall, I am underwhelmed with results from LivingDNA and would not recommend it to others at this time. Decided to get a test. I'm at all 3 other sites, I'll be interested to see how this turns out. On paper I'm 65% German/French, 35% Irish/Scottish/English. Honestly if they pinpoint any English correctly I'd be impressed. I have very, very little known (1 5th-great grandfather who I cannot trace, but was at least partially English from MD; and 1 other 5th-great grandfather who was supposedly English from CT). Beyond that, there could be some small amount from English transplants in Ireland. I hope they can dive deeper on Ireland like they have in England at some point in the future. I have done the test, my ancestors are all from Germany as far as i have found them. Only one family is said, has is origins in great britain in 10 generations, one in Luxembourg. What has Living DNA found out: my family is 100% European, 39,9% Great Britain and Ireland, 27,3% East Europe, 16,6% North and West Europe, 16,3 south europe. If i take a look at the maps, Germany belongs to North and West europe, also the east of germany where i am living belongs to east europe at the map. The southeast of anglia can also be Germanic pouplation. This is a little bit confusing for me, can anyone tell me, which of the other DNA Test i should take, to verify this? I'm impressed. If you're mostly UK you really want this test. My estimate was 98.7 UK and 1.3% Scandinavia while my records put the UK at 93% with 5.7% moving across the Dover Strait to The Netherlands and Germany. It will be interesting to see if the German update can improve this admitted difficult area. Another problem is Ireland, the PoBI did not sample central and southern Ireland so my Irish estimate was 6% while I expect 17%.It will be interesting when the Ireland Atlas Project is published next year and incorporated in Living DNA, my missing Irish may be found. Wales and Scotland agree with my paper records, percent and location by county. My paper records are weaker in England and Ireland so I'm hoping England and updated Ireland updates will help tracking down ancestors. In fact I'm testing my Mother and paternal aunt to shed more light on locations as they also should be 90%. Living DNA already is helpful and should be even better after next year's updates. However I can't speak of results for those with lower UK ancestry. Did you get your results back yet? Curious to see what you have for comparison. I just received my results from Living dna and am totally disappointed with them. I did another with My heritage Dna and was happy with their analogy of the results. I wish I would have read the reviews here first before sites that offer ratings and right next to them links to go and buy them that's just website trying to make money from the companies they rate..Living dna in my opinion is a waste of money so do your self a favor and stay away from them. 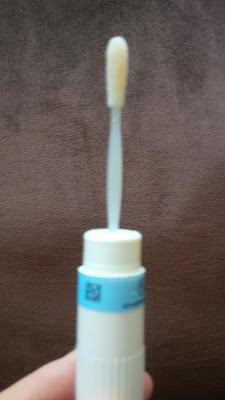 Following on from the testing of your third sample, we are very sorry to have to tell you that this third attempt has also generated a LOW CALL RATE. What this means is that it has not been possible for us to identify up to 1% or approximately 6,800 marker locations within your DNA on that sample. We do know that some people will struggle to swab enough DNA to test. This is because they naturally do not shed enough cells when compared to others which makes it harder to extract enough DNA for testing. This is not a medical condition and unfortunately as a individual, you cannot increase your shed rate. Because we have worked with you to collect three samples and reduce errors in the collection method, we believe that a low shed rate may be the reason that there has not been enough DNA in your samples. Sadly, this means it is likely that we would not be able to get results for you with further testing and we have to say that we have reached the end of your journey with us. We understand that this is very disappointing news and that you have paid to receive your results, which will not be supplied. Because this is such a very rare occurrence we would like to offer you a refund for the cost of your testing. 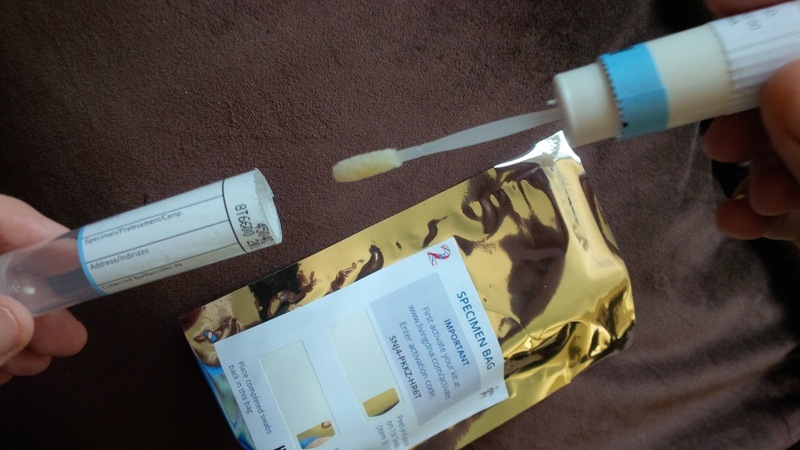 I have tested successfully with AncestryDNA (spit), MyHeritageDNA (swab) and FamilyTreeDNA (swab), but the Living DNA test (swab) was unseccesful in three tries. I was very careful to follow all the directions, including swabbing counterclockwise for the recommended, cautions about eating, etc.